Rome, 08 Nov 2018 – Leading technology brand Huawei showcased an exclusive new title from Nitro Games at its Huawei Eco-Connect Europe event in Rome on 8 and 9 November. Heroes of Warland is now available exclusively in AppGallery for a limited time. And as an extra bonus, Nitro is giving away an exclusive free in-game gift valued at 12 EUR for all AppGallery users. The new game was demoed during a live showcase at Huawei Eco-Connect Europe 2018 where two teams of four competed against each other in front of a live audience. The demo took place in the Mobile E-Sports area, which was a new addition at this year’s event. A further live demo at the event featured multiplayer game Vainglory from developer Super Evil Megacorp. 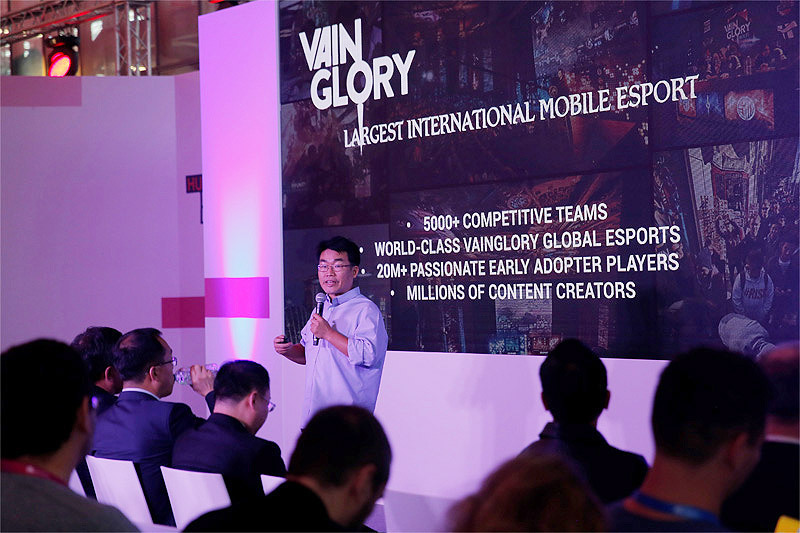 Vainglory represents the type of high-quality games that Huawei brings to AppGallery, through partnerships with AAA developers. Vainglory will be available in Huawei AppGallery from this month. During a session at the event, Taewon Yun, General Manager, Global Publishing, described Super Evil Megacorp’s ambition to create an ultimate mobile gaming experience for users, and how low-friction solutions make it easy to publish games and apps to AppGallery. Global integration enables developers to roll out titles worldwide to all Huawei device users. AppGallery is Huawei’s official Android app platform which is now available in 138 countries. To support developers, Huawei offers full onboarding and expert technical support along with open access to Huawei’s automated test lab and performance optimisation for Huawei devices. Huawei is also working on a partnership with cross-platform game engine Unity, to support the AppGallery plug-in through the Unity Developer Partner Programme platform. Developers building games on the Unity engine can produce an AppGallery version with minimum resources. Huawei offers promotional support to partners including featuring top apps and games on the AppGallery home page. Developers have the opportunity to engage in AppGallery promotions, drive traffic by creating unique Themes and wallpapers, and cooperate with Huawei in online and social media campaigns. AppGallery offers users a new way to discover content and features a four-layer detection mechanism to ensure that all featured apps are safe to download and use. AppGallery is part of Huawei Mobile Services which enriches more than 460 million users’ mobile life with premium services.